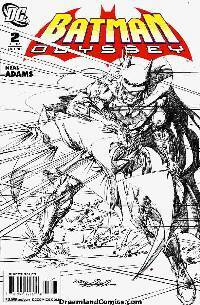 Neal Adams's ODYSSEY ramps up as The Caped Crusader slowly but surely loses control. A dark presence lurking in the background begins pulling Bruce's strings...who is responsible? This second chapter is a tour de force of action as the greatest crime fighter on earth displays his vicious combat skills. What else can you expect? Adams's art at its best!